Totally Remodeled! Large Lot Plus a Shop! Great Neighborhood! New Windows & Exterior Paint will be completed when weather allows. Professional Pics Coming Soon! Room Sizes and Square Footage are estimates. Please note... Listing agent is owner agent! Take Parallel Ave West from 635 to 57 Street, Turn Right ( north ) on 57th Street to Geaorgia Ave, Turn Right and house is on the left..
Kansas City is located in Kansas. Kansas City, Kansas 66104 has a population of 151,306. The median household income in Kansas City, Kansas 66104 is $38,073. The median household income for the surrounding county is $39,326 compared to the national median of $53,482. The median age of people living in Kansas City 66104 is 33 years. 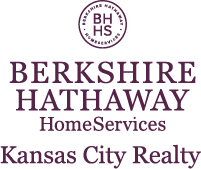 I am interested in 5208 Georgia Avenue, Kansas City, KS 66104.